The contract of insurance is an inherently un-equal one when it comes to making a claim. The warm and happy relationships depicted in Insurers’ advertising campaigns are set aside. The Insurer/Policyholder relationship is no longer ‘personal’…… it’s business. You go from being a policyholder to being a claimant. On notification of a loss, Insurers appoint experts to represent their interests. They pay for that expertise out of the pool of premiums collected. The Consumer Protection Code 2012 obliges Insurers to advise claimants that the appointed Loss Adjuster is acting on their behalf, and that they (the policyholder) may appoint a Loss Assessor to represent their interests. However, this is often done in a way that seeks to dissuade claimants from doing so. Sometimes they emphasise that it will be at their own expense (often written in bold), and/or that that it may not make any difference to the outcome. This is inherently untrue and unjust. It exacerbates an already fundamental inequality. Many people feel intimidated by the process and are afraid to challenge ‘expert’ loss adjusters. Questions and correspondence can be phrased in such a way as to undermine the claimant into a position of greater weakness. 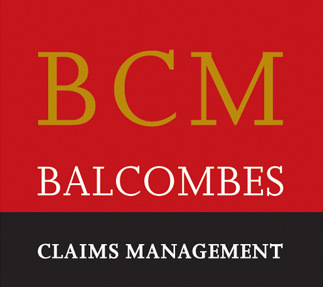 Balcombes have often been appointed to act for people where the scope of work being proposed by the ‘expert’ loss adjuster was clearly inadequate. Where the policyholder was left in a position that they weren’t being offered enough money to get the work done. Following a challenge to the scope of work proposed, the loss adjuster concedes that the additional items are in fact damaged and need to be repaired or replaced. Suddenly the settlement offer is increased. Appointing Balcombes to deal with your property damage claim will level the playing field. We can assess and compile a fully documented statement of claim to ensure that your position is equally represented in the claims process. Balcombes household and commercial property scheme for brokers ensures equality, support, and professional service for all claimants, guaranteeing customer satisfaction. Call Jim Flannery on 1800 506 700 for more details. We are always trying to increase greater awareness for our services. If you believe in equality please click on the links below to share with your network.